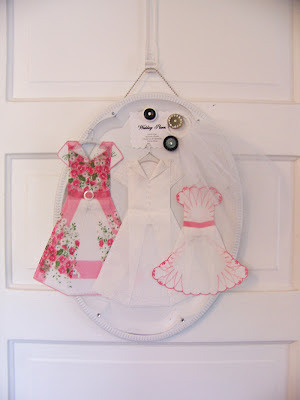 It is time for a June wedding and here comes the vintage hanky bride dressed all in white along with her maid of honor and sweet little flower girl. 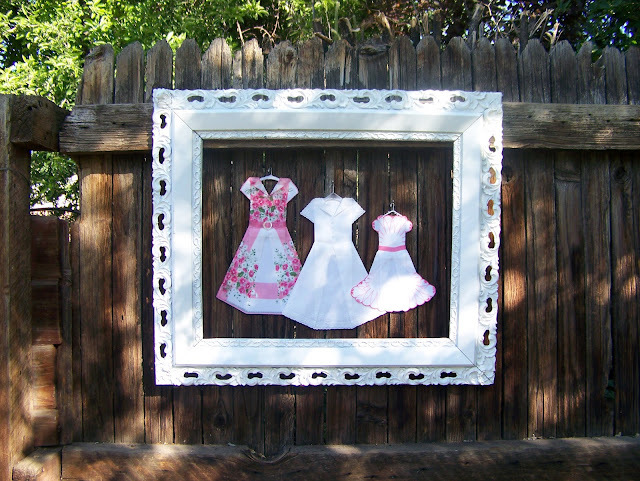 I love to display Hanky Dresses inside of an open frame; especially a beautiful antique shabby chic one such as this. I took this project one step further and created a magnetic wedding planner using a vintage tray, some magnets and some rhinestone buttons from my stash. There is even a little bridal veil flowing off to the one side. I was really into this project and got carried away with the little details. This would make such a sweet gift for the special Bride-To-Be. The dresses each have their only little hangers - so they could be hung on a string - or my preference would be to use them in a framed remembrance collage displaying mementos of the wedding day. 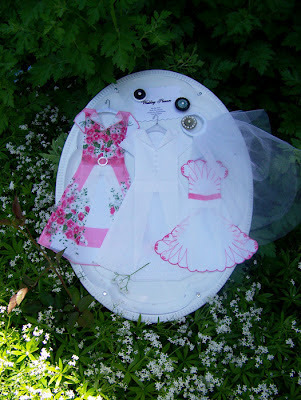 And the magnet tray could then be used to organize all those loose to-do-notes the busy bride-to-be must cope with. About those details - I chose a beautifully detailed white wedding hanky for the bride's dress and added sparkling crystals for buttons. The veil is several layers fine white net. 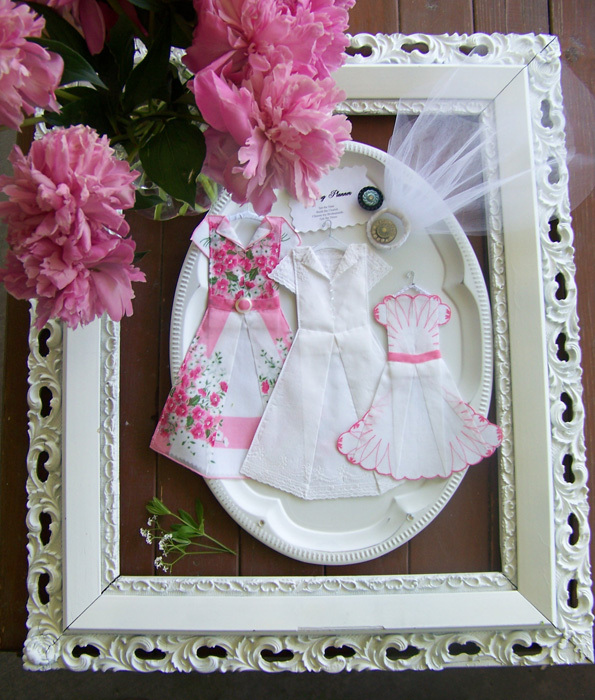 The maid of honor's dress is adorned with a tiny mother of pearl buckle and sheer pink organza ribbon. And all the hangers are not only different styles but each is also decorated in a unique manner.